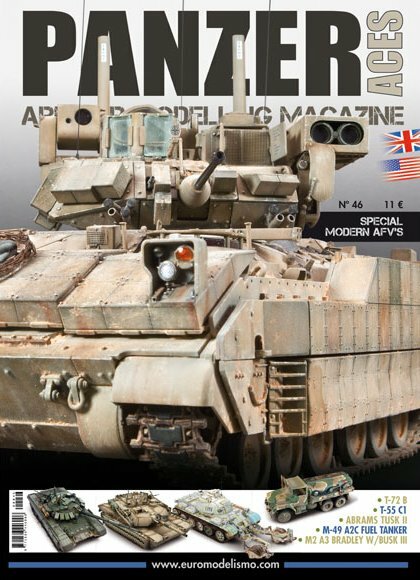 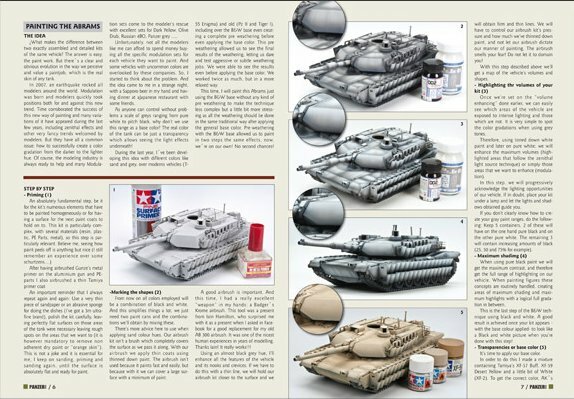 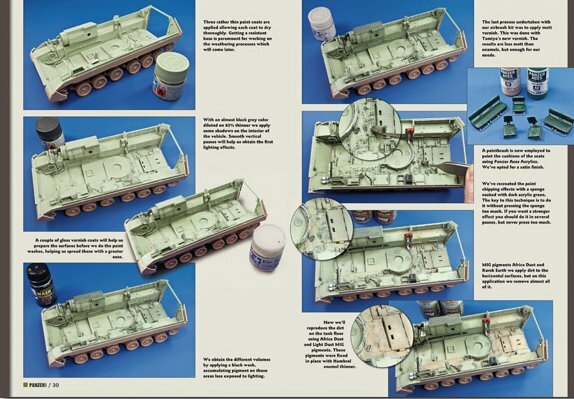 In English & Spanish languages..
Panzer Aces #46 features scale military vehicle magazine with high quality pictures. 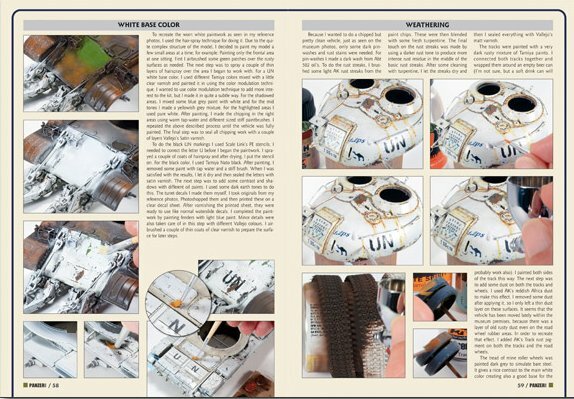 Step by step procedures by the most prestigious hobbyists in the international scene. 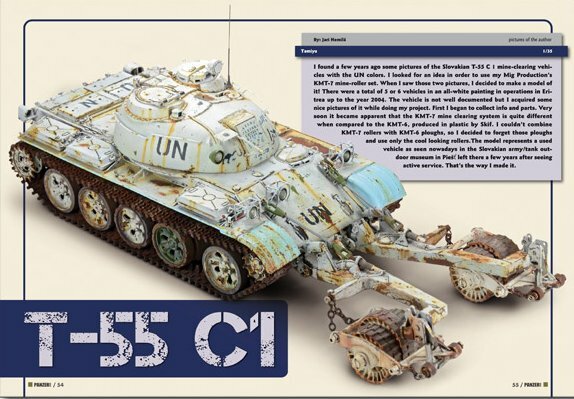 The magazine also includes pretty unique visuals of the vehicles enhanced with numerous profiles by outstanding illustrators in the scale military hobby. 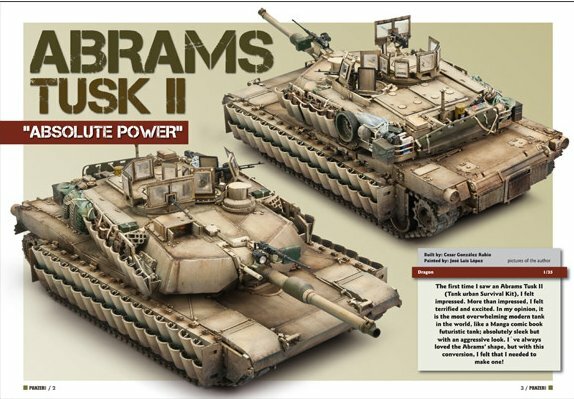 - ABRAMS TUSK II, Dragon Scale 1/35 made by José Luis López Pérez. 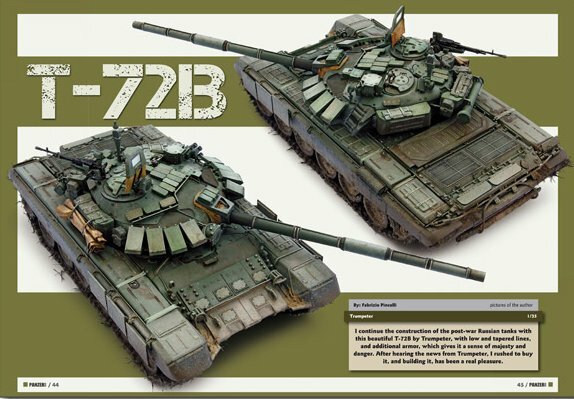 - T-72 B, Trumpeter, 1/35 scale. 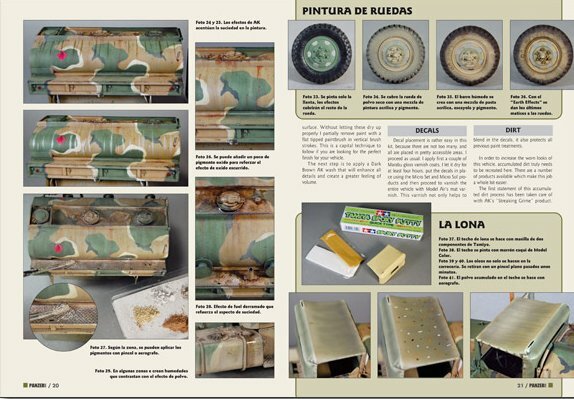 Made by Fabrizio Pincelli. 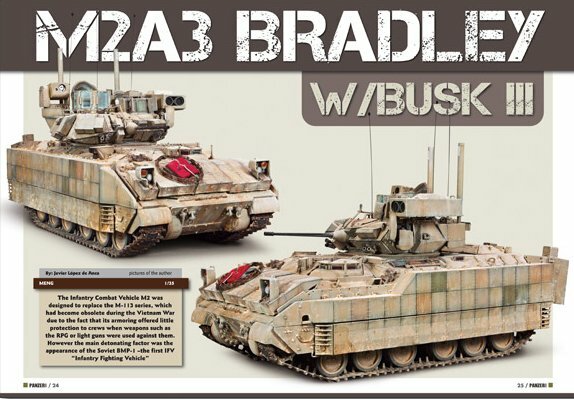 - M2A3 BRADLEY, MENG 1/35 scale made by Javier López de Anca. 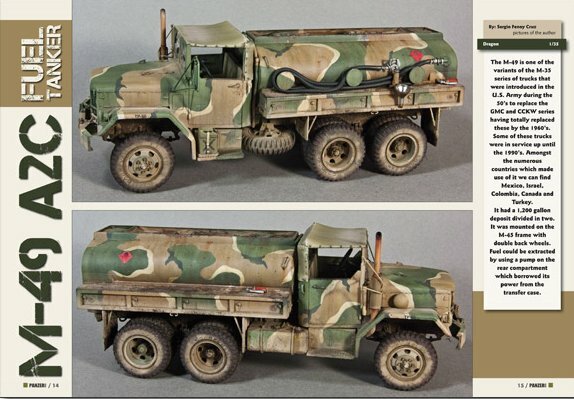 - M-49 A2C Fuel Tanker, Dragon 1/35 scale made by Sergio Fenoy. 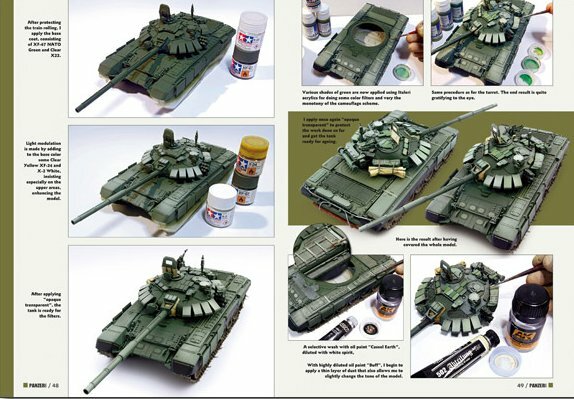 - T-55 C1, Tamiya 1/35 scale by Jari Hemila.